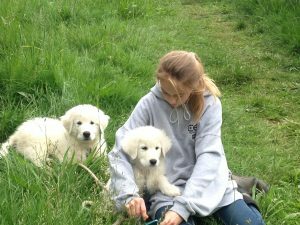 A Maremma is a livestock guarding dog, bred in Italy for centuries to guard large flocks of sheep on the plains and in the mountains. 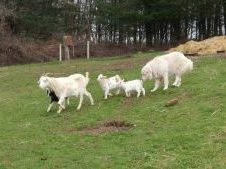 The Maremma originally lived day and night with its flock, and its white coat mimics the coat of the sheep in its flock. It was bred to take responsibility for keeping the flock safe from 4-legged predators, primarily the wolf, and from 2-legged thieves; and kept proficient at its job by frequent life-and-death battles with the wolves. The Maremma Sheepdog Club of America does NOT recommend the Maremma as a pet. The Maremma actually never considers itself a ‘pet’. 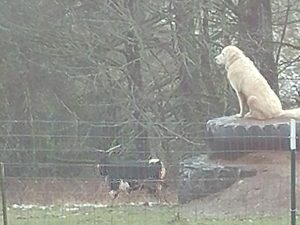 It is a working dog, with 2000 years of genetic background of livestock guardianship behind it, and it needs a job to keep it occupied.